Jill McCorkle is a professor in the MFA in Creative Writing program at North Carolina State University. She has taught previously at UNC-Chapel Hill, Tufts University, and Brandeis, where she was the Fannie Hurst Visiting Writer. She was a Briggs-Copeland Lecturer in Creative Writing at Harvard for five years, where she also served as chair of the creative writing program. She was one of the original core faculty members of the Bennington College MFA program and is a frequent instructor at the Sewanee Summer Writers Program. 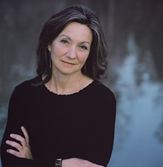 A member of the Fellowship of Southern Writers, McCorkle has the distinction of having published her first two novels on the same day in 1984. Since then, she has published three other novels and four collections of short stories. Five of her eight books have been named New York Times notable books. Her stories have appeared in The Atlantic, Ploughshares, Oxford American, Southern Review, and Bomb Magazine, among others. Four of her stories have appeared in Best American Short Stories and several have been collected in New Stories from the South. Her story, “Intervention,” is in the most recent edition of the Norton Anthology of Short Fiction. McCorkle has received the New England Book Award, The John Dos Passos Prize for Excellence in Literature and the North Carolina Award for Literature. Aside from published fiction, her essays and reviews have appeared in The New York Times Books Review, The Washington Post, The News & Observer, Southern Living, Real Simple, and the American Scholar. McCorkle’s new novel, Life After Life, will be published in March 2013. She lives with her husband in Hillsborough.